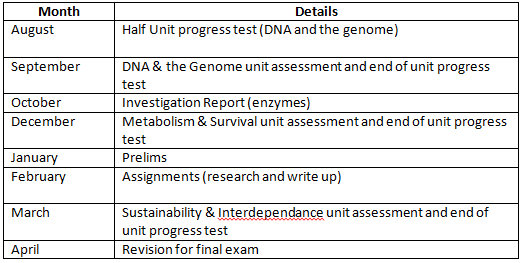 Higher Biology has an externally assessed exam worth 100 marks (83% of the final grade) as well as an Assignment to complete, worth 20 marks (17% of the final grade). Supported study is available in the run up to prelims and the final exam for Higher Biology students. In class, support is provided through a range of high class resources – textbooks, study guides, applying knowledge and skills books, glossaries and past paper practise questions.